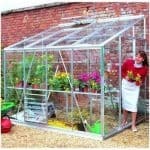 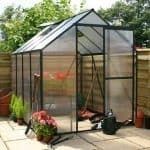 This 12 x 8 greenhouse has a number of aspects that guarantee you a great experience as you go about your gardening day. 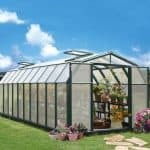 There are four windows in the roof, for example, that allow you to carefully manage the climate inside the greenhouse. 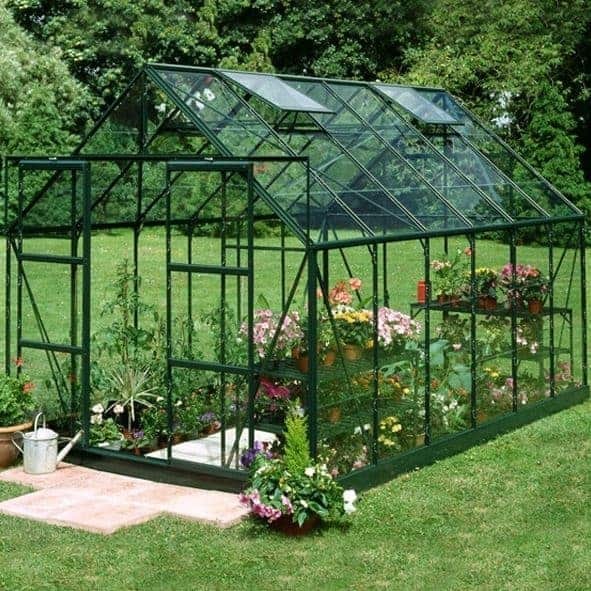 When you are dealing with sensitive plants this makes a lot of sense. 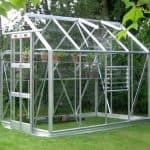 The frame is entirely rust-free because it has been carefully coated in powder, so you have a building that will last long without rust. 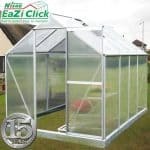 There are extra tall eaves as part of the building as well. 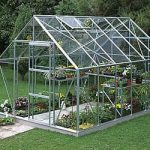 These bring you more head height, and therefore more comfort as you get on with your planting and tending.